Party Bash is Brighton's biggest, baddest and bashy-est virtually reality gaming night. Split into teams to compete in multiplayer VR games and challenges. Collect high scores, lead your team to epic victory and win prizes! All for just a fiver! Whether you've never tried VR before or you're a VR regular, this team based gaming night is a great way to enjoy VR with friends and meet new people. Party Bash always features some of the most exciting VR experiences available on the Oculus Rift. Party Bash occurs every other Thursday at GOVR cafe and is a two hour event. Party Bash runs twice from 6pm to 8pm and again from 8:30pm to 10:30pm. Please arrive 15 minutes before the start of your booked Party Bash session - the games will begin without you if you’re late! Party Bash tickets cost just £5 per player! Please navigate in the booking form below to the Thursday on which this Party Bash is being held and book a ticket per player for the session of Party Bash that you wish to attend. If you have trouble viewing the booking form above, please click here to go to the booking page on Design My Night. Enter the whimsical wooden world of Loco Dojo and step up to Grand Sensei’s ‘Table of Trials’ (voiced by Brian Blessed) to pit your silliest skills against your friends in this hilariously competitive multiplayer social VR party game. Discover a wealth of wacky and ludicrous trials in which to compete with your rivals and prove yourself as a master of martial madness! 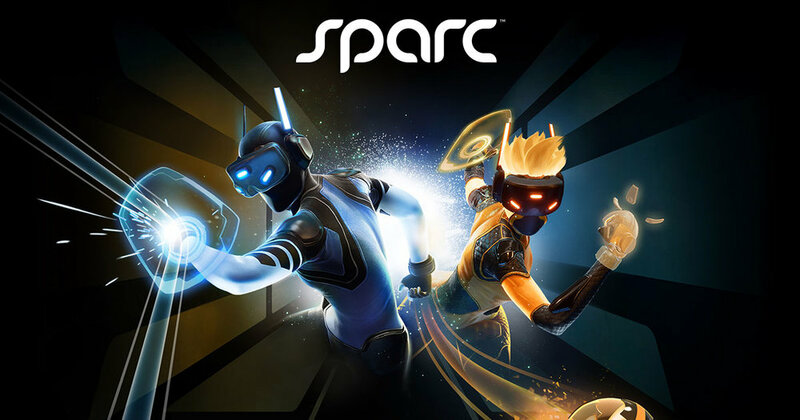 Go head to head in this fast-paced, Tron-like VR sport. Throw, dodge, block and deflect to outwit your opponent and claim victory.